I have to say Bully was not what I expected. I knew this was a documentary about bullying in schools, and that it would feature students and families that had dealt with the issue, including families whose children had committed suicide because of their peers’ harassment. I knew the film had some powerful allies in the entertainment industry like Ellen DeGeneres and Harvey Weinstein (whose passion for championing independent films is matched only by his passion for self-promotion). I knew about the film producers’ fight with the MPAA over the film’s rating. What I didn’t expect was how unnerving, uncomfortable, and confusing the film would be to watch. I think that’s a strength. What the film does is shine a harsh light on a harsh subject, without a lot of interpretation or analysis. There are no talking heads here to tell us what we’ve seen. At times we’re as unsure as many of the adults in the film as to where the worst of the bullying is happening and where the kids are joshing and pushing boundaries with each other. This is how bullying happens: often right under the noses of parents, teachers, and administrators. It often takes the worst cases of harm, abuse and suicide to alert the community that there’s a problem. And even then, the fallback response seems to be denial. The most moving and revealing story is that of Alex Libby, a 7th grader who seems to have all the qualities that make him a target of bullies. Born premature, he is physically and socially awkward—small, slight, and sensitive. The camera follows him throughout his days at school, where the harassment starts with his first interactions with other students at the bus stop. His rides to and from school are daily gauntlets of taunts, threats, and physical violence. Every moment of every day, he is hounded: punches, name-calling, a kid standing next to him in the lunch line stealing fries off his tray. He comes home and his parents ask him about his day and he shuts down and clams up. In one heartbreaking scene, Alex’s father finds out he’s being pushed around and tells him if he doesn’t fight back, his younger siblings will face the same treatment, so he’d better man up and stand up for himself. Alex’s mother eventually confronts the administration of his school with evidence of her son’s bullying and receives a complete stonewalling. The assistant principal at Alex’s school refers to the students as “cherubs” and insists she’s ridden Alex’s bus and the kids are “good as gold.” I’ve got news for her. No middle school kid is a cherub. At best they’re obnoxious, horny, and smelly, at worst they’re creatures of animalistic cruelty. We’re introduced to more kids and more families. A lesbian teenager from Oklahoma who not only experiences bullying at school but the complete ostracizing of her family by the supposedly Christian community around them. A 14 year-old girl who is so overwhelmed she brings a gun to school and threatens her abusers, and finds herself in juvenile detention facing a law-and-order sheriff who wants to throw the book at her. And there are the parents of Ty Smalley and Tyler Long, an 11 year-old and 17 year-old, respectively, who committed suicide, leaving their parents behind to become unlikely activists in what seems to be a growing movement to change what has been long-accepted childhood behavior. I’ve been through this with my own family: my brother was bullied throughout grade school and middle school. I know about the lonely fights of parents against clueless school administrators, the family feelings of isolation, the feeling of powerlessness, and my own regret that I didn’t stand up enough for my brother. I can say from watching this unfold in my own family that bullying is the worst, most reptilian example of the herd instinct. It comes from an almost evolutionary desire to cull out the different, the awkward, and the unfamiliar. Those of us who were not the target of bullies in school probably turned away when other kids were being bullied and refused to act. Some of us may have joined in the abuse. It is a behavior that has to be actively resisted in large groups of kids (or large groups of humans, for that matter) and that starts with vigilant adults and the few independent-minded students who refuse to stand by and let it happen. And let’s not fool ourselves, every school district has a bullying problem. The filmmakers have done an excellent job providing resources to try to keep the conversation going. 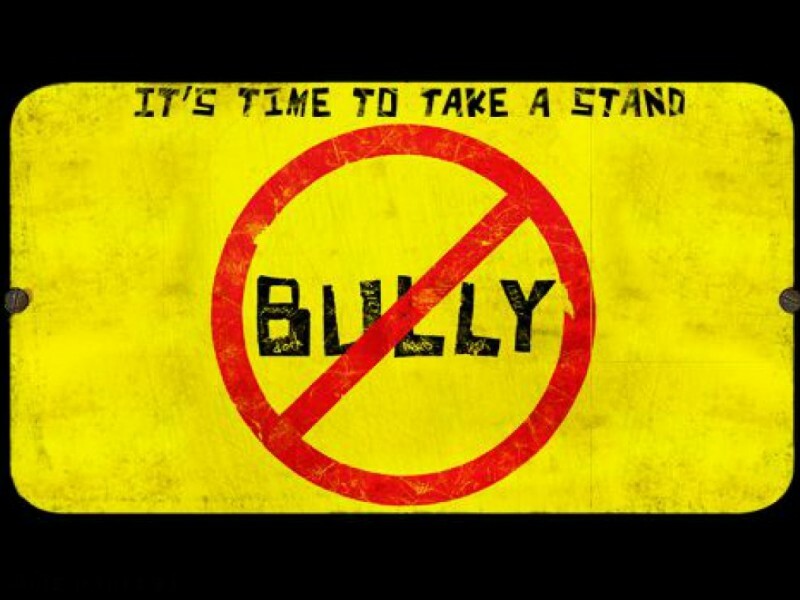 What they try to present in the film is that what counters the behavior of bullying is speaking up and breaking the Darwinian cycle of violence. Bullying is not acceptable. It is not normal. It is not “kids being kids.” It has been tolerated as part of the educational system for too long and it must be stopped. A note on the fight with the MPAA. The film was initially given an “R” rating, apparently because there were one too many “fucks” in the film. This meant kids under 17 wouldn’t be able to see the film without an adult, and schools wouldn’t be able to show it. My initial reaction was to wonder why the filmmakers didn’t just edit out some of the language and move on. This was eventually what they did and the film was reissued with a PG-13. There are now only two “fucks” in the film; the world is again safe for school children and their delicate sensibilities. Having seen the film and experienced the impact of the words the bullies use on their victims I now understand that the MPAA is as useless and ignorant as the school administrator who thought middle school students were angels. The MPAA is just one more bureaucracy that doesn’t want to face the realities of the world children live in. Considering the horror of what happens to kids in the film, and the necessity of bringing awareness to it, the ratings board’s quibbling over curse words is beyond myopic, it’s complicit.